So, I mentioned it. I'm SOOOORRRRY! I assure you, this will not help. I'll throw out the "lower fat" tips for this where I can, but dude. This is for real a rich, creamy, chocolaty giant bowl of bliss. And I mean big. I make this stuff to serve me. Or, the 17+ of us that get together for the holidays. It's a fight. And there are NEVER leftovers. There. Now hopefully that helps. 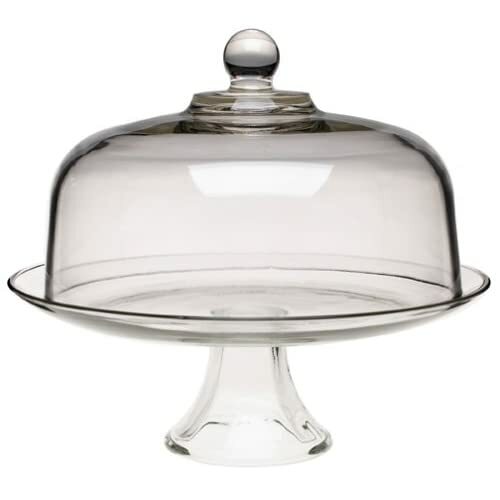 Layer the following into your trifle dish: Brownie, pudding, whipped topping. Brownie, pudding, whipped topping. Sprinkle the top with toffee bits. I've also topped with cocoa powder, mini chocolate chips, chocolate shavings, whatever. Seriously. That's it. But if you take your time with your layers, it looks like you slaved over it for hours and it tastes amazing. This is NOT a picture of one I made, I totally stole this from AllRecipes.com, but this is it (the link will take you to their version of the recipe!) I've also done this smaller scale in glasses for a dinner party. I used some brandy snifters, but a wine glass or about any other stemware would look lovely! To give you some reference, I usually bake 2 boxes of brownies (I use that gooey middle part for the Death By Chocolate and snack on the chewy edges as I go along!) I already mentioned 2-3 boxes of pudding mix, which means about 24 ounces of sour cream, and I end up using around 24 ounces of whipped topping. In the baking aisle at the grocery store you can buy Heath Brickle, which is my favorite topping. Now, I can't begin to give you the calorie count, fats, sugars, etc. I can tell you that this, this is very, very good. And if I am going to die, a Death By Chocolate induced sugar coma is an ok way to go! Oh Holy Heck Megan..You da bomb! I will write this down when I get a chance..Thanks for posting it!! 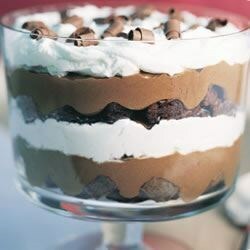 I make a trifle like this BUT with amaretto! I mix amaretto in the pudding mix instead of milk. But it's pretty much the same thing you posted and is DEFINITELY my most favorite dish to bring to parties (and the one that gets the best reviews). You just can't mess this recipe up! Wow this sounds pretty quick and easy and I signed up to bring dessert to our Thanksgiving dinner. I think you have just facilitated a match made in heaven. I was gaining weight just looking at your blog......I could even smell it. Wow!!! So much for continuing to lose weight.